Lycra paddling tops. 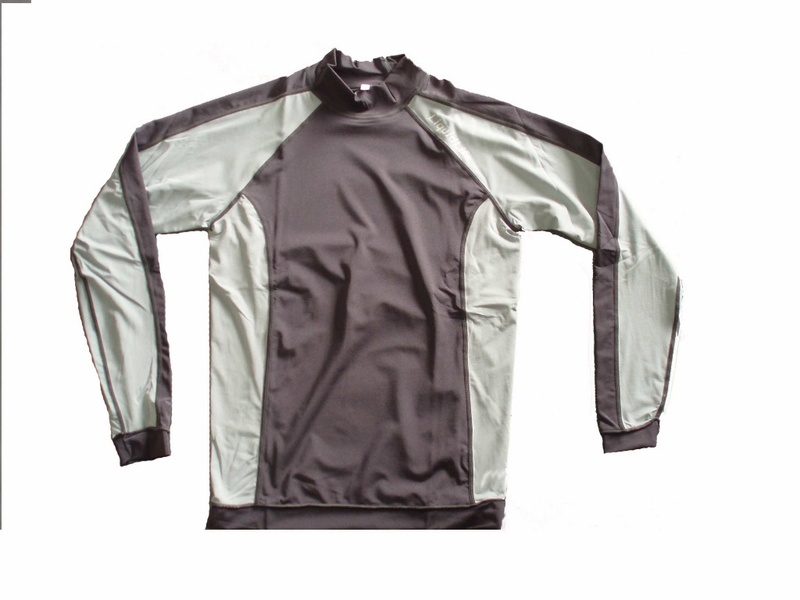 Long sleeved, tight fitting tops that function as both a rash guard and quick drying warm layer. Made of heavy Lycra with a cut that allows for great freedom of movement.